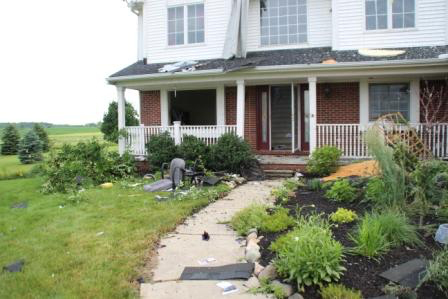 Inspired by Near-Tragedy, Manchester Youth Spearheads Project to Save Lives - Krown Manufacturing, Inc.
Last June 23, Manchester awoke to the news that an EF-1 tornado had touched down in Freedom Township, severely damaging several homes. While no one was injured, those who lived through it are still dealing with the emotional trauma of the event. 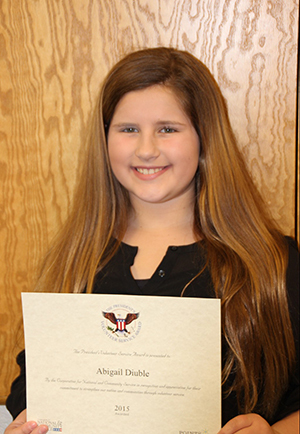 For one eleven-year old, Abby Diuble, coming to terms with the terror of that night has meant embarking on a project that has the potential to save lives of other children facing a life-threatening emergency situation. The Diuble family begun by researching alarm systems for the hearing impaired, and finally selected the KA300 Wireless Alarm Monitoring System made by Krown Manufacturing, Inc. It is a system that connects a weather radio, smoke alarm, and a carbon monoxide alarm to a bed shaker to wake a hearing-impaired sleeper. It also has a bright LED light that can be “seen” by many visually impaired users. The goal of the WHIP project is to get one of these alarm systems into the home of every hearing impaired child for free. An instrumental part of their program is working with local fire departments. 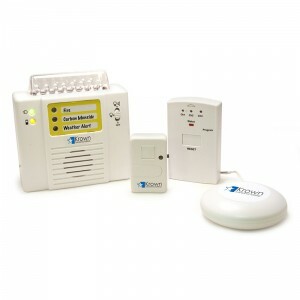 The alarm units will cost the organization $257.09 each, which is a $100 discount off of the retail price. Angie Diuble pointed out that the company is “really working with them.” She hopes to eventually be able to get a quantity discount as well. In addition to applying for grants and asking for donations to pay for them, WHIP will be asking each local fire department to help with raising enough money to buy an alarm system for each child in their service area. Manchester has 5 or 6 hearing impaired children. Angela Diuble stated, “We met with the Manchester Township Fire Department in February. They were interested in helping us and were going to discuss ways of making it work.” In addition to help with fundraising, the Diubles are also hoping that each Fire Department will help install the units and make sure they work in the home, although there may be liability issues that will require them to work with a licensed, insured installer. Abby, herself, has been presenting at fire departments, getting the departments on board with the project. Her next presentation is tentatively scheduled for April 11 in Madison Township. Their goal is to start in Manchester and move out into other communities in Washtenaw and Lenawee Counties. They are also speaking to businesses through chambers of commerce to try to line up donations. But, at the moment what is holding them up the most is waiting on paperwork to obtain non-profit status. “We want to have the nonprofit fully going before we jump in to bigger cities/districts because I expect there to be a big response to this,” Angela Diuble said. Some fire departments already provide bed shaker alarms to warn of fires, but Angela Diuble has yet to encounter any that include the weather warning portion. “The tornado was an absolutely horrifying experience for our family, but we are hoping to take that bad experience and help others to be safe. We are insisting that the alarm systems have a weather radio portion because that was the thing that ‘got us,’” she explained. Angela reiterated that they are still fully committed to raising money for Foundation Fighting Blindness to find a cure for Lilly’s condition. In fact, both girls are youth chairs for this year’s Vision Walk which is coming up Saturday, May 14 at Kensington MetroPark. The girls each head up a team and have a sisterly rivalry to see who can raise more each year. To donate to Lilly’s Vision Walk Team click here. To donate to Abby’s Vision Walk team click here.